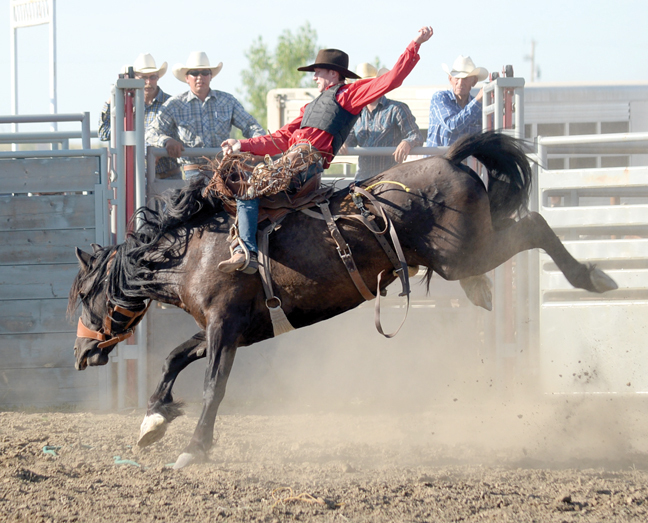 After back to back years without their flagship event, the Taber Pro Rodeo Association is hoping to get back on the horse in 2019. “We’re still planning on going ahead with the rodeo. We’re working on some stuff right now, there has been no real decisions made yet on what is happening but we are planning on going ahead,” Barry Jensen, president of the Taber Pro Rodeo Association explained to M.D. of Taber council at their regular meeting on March 27. One of the bigger reasons 2017 and 2018 saw a halt in pro rodeos in Taber was due to health issues but now the organization is hoping to bring it back to the region. Like in the prior years when it was running, the association was looking for the M.D. to cover the insurance costs which total to $1,970. “Because of the lease agreement we have with the town, that ground has to insured from rodeo to rodeo,” said Jensen. M.D. council had questions around where the rodeo would be held after Taber town council had voted unanimously to direct their administration to issue a notice of termination to the Taber Rodeo Association for their lease agreement during closed session at their Nov. 26 meeting. “We are working on it, that is all I can say,” stated Jensen. Jensen stated insurance for the event would come from a British Columbia company as they were the only ones who offered rodeo insurance. Even with the two-year layoff for the event, the association is determined to get things back to normal moving forward. While help from both the town and M.D. have spurred the continuation of the event, Jensen stated a lot of the costs involved in putting on the rodeo were taken care of through other means. Jensen also stated at the time, it had been the longest pro rodeo in Canada with it running for 77 straight years up until 2017. With all of the information provided, council were tasked with making a decision on whether or not they wanted to put forward the money for insurance. “My understanding of this is, this is for the requirement of the lease they no longer have. I think we should get clarification from the town whether they have a lease there or not. We can’t give them insurance for something that they aren’t able to insure,” said Coun. John Turcato. Others on council thought the situation wasn’t quite as clear though. “This may be a chicken or an egg. I don’t think they can get a lease if they haven’t got the insurance and can’t get insurance (without the lease). Maybe a motion stating in the event that they get the lease, we would pay the insurance,” added Coun. Brian Brewin. A motion was made stating the M.D. would pay for insurance in the event they were able to secure a lease which was carried 6-1. Turcato opposed.